Discover Advanced Voice Feminization Techniques that Will Take Your Voice from Passable to Beautiful … So You Can Finally Be Accepted as the Woman that You Are. If you’re reading this right now, you’re probably ready to take your feminine self to the next level … to TRULY become a woman. But let’s face it. It doesn’t matter how good you look or how feminine you feel, if your voice doesn’t match the rest of your image, you’re not going to be perceived as the woman that you are. I realize that a lot of TG women are making great progress with their voices, but are still stuck sounding androgynous. In other words, their voices are feminine enough to pass, but they don’t have a BEAUTIFUL voice. 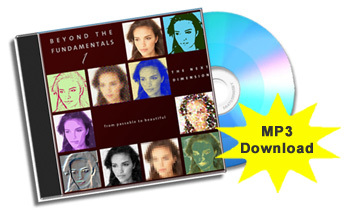 Beyond the Fundamentals I: The Next Dimension is a 72 minute MP3 audio program that focuses on the EXACT elements that will take you from having a passable feminine voice to having a beautiful feminine voice. Please note that the Beyond the Fundamentals series is intended for those who have completed my first program, Fundamentals of Your Feminine Voice. 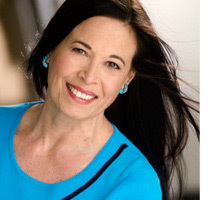 If you’re just getting started, click here for the Fundamentals of Your Feminine Voice program. There is nothing more important than daily practice if you want a beautiful voice. The Daily Dozen Drills is a structured routine that will help you perfect all 9 Elements of an Exceptional Feminine Voice. I designed the Daily Dozen Drills to fit into a busy schedule. They only take 20 minutes and can be practiced while you are driving or doing chores around the house. Now there is NO excuse not to have a beautiful feminine voice! As you know, there is more to feminizing your voice than raising your pitch. Resonance is a key element in creating a beautiful feminine voice. Resonance has to do with the “ring” of your voice. Since males have a throat space that is bigger than females, their voices have a fuller, deeper quality – even when the pitch is the same. Feminine resonance is one of the hardest concepts for TG women (especially non-singers) to grasp. That’s why I’ll introduce you to NEW techniques for mastering resonance in Beyond the Fundamental I: The Next Dimension. I’ve invited noted voice teacher Bob Downard to guide you in “Pop-Belt Placement” – a technique borrowed from the Musical Theatre world. Bob’s pop-belt exercises will help you develop clear, feminine resonance. Learning how to go from structured exercises to spontaneously speaking in a feminine voice is your biggest challenge. Beyond the Fundamental I: The Next Dimension includes ADVANCED transfer exercises that will help you transfer feminine resonance, melodic intonation, and fluency into real world speaking. It’s a dead giveaway: You cough or sneeze … and heads turn. Mastering these “non-verbal” sounds is an important part of your voice feminization training. In Beyond the Fundamental I: The Next Dimension, I’ll show you how to sound feminine when a cough, sneeze, or fit of laughter sneaks up unexpected. “I really like your newest program. It has some wonderful, more challenging exercises that are a lot of fun. The intro music is a great addition and there’s a lot of variety. You’ll Finally Have the Tools to Beautify Your Feminine Voice – Starting Today! The great news is that you have the power to transform your voice. And with the Beyond the Fundamentals 1: The Next Dimension program, you’ll have the tools to beautify it – starting today! As soon as you click on the order button below, you will be directed to Clickbank’s secure server for your credit card or PayPal information. Clickbank is a trusted online retailer specializing in digitally delivered products. Your bank statement will show a charge by “CLKBANK*COM” and the nature of your purchase will not be revealed. As soon as you’ve placed your order, you will be automatically redirected to the download page where you can download the Beyond the Fundamentals 1: The Next Dimension Audio Program in MP3 format, along with the Drills and Exercises Guide in Adobe Acrobat PDF format. The MP3 files can be played on an iPod, computer media player, or any MP3 player. You can view the Drills and Exercises Guide using the free Adobe Acrobat Reader. As always, your satisfaction with my programs is guaranteed. Test the Beyond the Fundamentals 1: The Next Dimension program RISK FREE for 60 days. If you’re not thrilled with your results, just let us know and we’ll send you a prompt and courteous, no hassles, no hesitation, 100% refund. You deserve the confidence to express yourself as a woman in all situations … not just passably, but beautifully! Order now and let’s get started on your journey to the next dimension. P.S. Your voice can be your biggest asset or your biggest liability when it comes to your feminine image. With the Beyond the Fundamentals 1: The Next Dimension program, you’ll finally have the tools to beautify your voice. P.P.S. Remember, your purchase is protected by a 60-day money-back guarantee. You have nothing to lose and everything to gain by having a voice that expresses who you truly are. NOTE: The “Beyond the Fundamentals 1: The Next Dimension” program consists of downloadable MP3 audio files and Adobe Acrobat PDF files. No physical products will be shipped. After you order, you will get INSTANT ACCESS to download the MP3’s, which can be played on an iPod, computer media player, or any MP3 player, and the PDF files, which can be viewed on the free Adobe Acrobat Reader (Mac or PC).